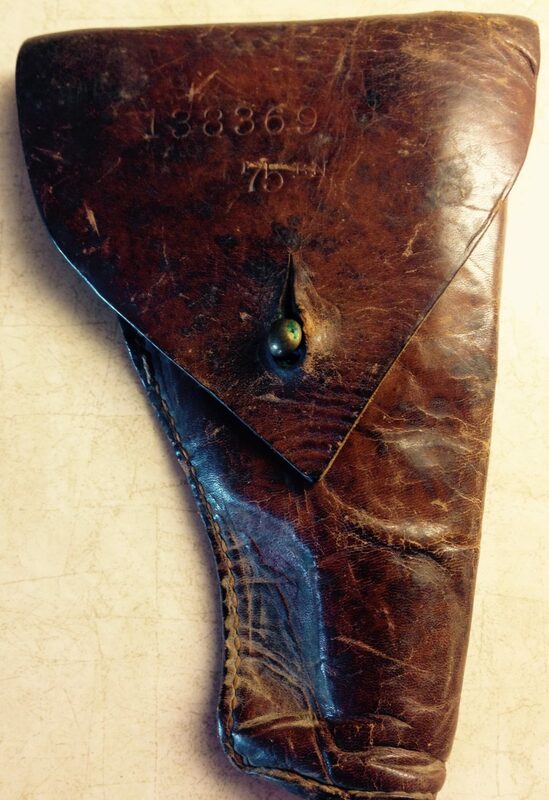 The leather holster for the pistol model 1907, serial number 113384 used by George Morren during World War I. On May 21, 2015, his nephew, Douglas Morren, donated it to the Royal Military College. Home/The leather holster for the pistol model 1907, serial number 113384 used by George Morren during World War I. On May 21, 2015, his nephew, Douglas Morren, donated it to the Royal Military College. Tags: Military, Soldiers, World War I.